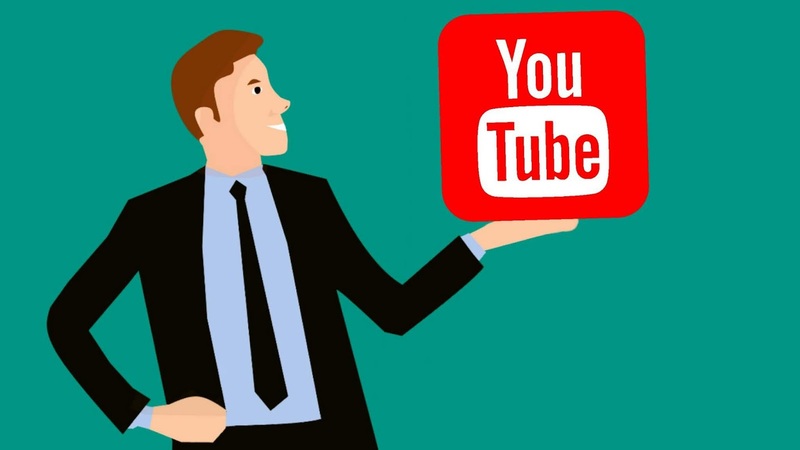 In this blog, we will see some interesting facts about YouTube. YouTube is becoming popular all over the world since 2005 when it was created by three developers. Here are the Top 10 Facts about YouTube that you don't know. 1. If you have ever been the first to watch the fast-growing YouTube video, you probably noticed that the views counter usually freezes at around 301 views. This is actually not a bug but an anti-fraud tactic that has acted to verify this quickly growing views or actually real. It is not sought of bot or spam. After a day or two, the views have been checked the views counter usually returns to normal. 2. 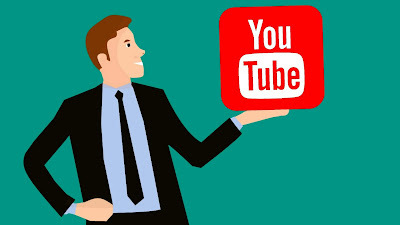 YouTube actually started out as a video version of an online paid website uses would be able to upload videos of themselves or rate and interact to the people based on their videos. The idea of this site was influenced by another website called hotornot.com, where people submit photos of themselves which other users rate based on their attractiveness but after a few weeks to free creators didn't decide to limit and drop their idea. 3. The pre founder Chad Hurley, Steve Chen and Jawed Karim were all employees of PayPal before they got the idea of YouTube. They needed money to start YouTube when eBay bought PayPal in Late 2002. So, in a sense with eBay and PayPal there wouldn't be a YouTube. 4. The first ever video on YouTube was uploaded by one of the creators Jawed Karim. On the 23rd April 2005, the video is titled "Me At The Zoo" in which Karim in very casually explaining that Elephants have really long trunks. The very first comment was obviously made on this video and this video is posted by a user called "COBAL TGRUV" the comment simply reads "interesting" and it has more Likes than the video itself having more than 100,000 Likes so far. 5. The countries where YouTube has currently blocked are China Since March 2009, Turkmenistan Since 2009, Syria Since March 2011, Bangladesh Since September 2012, Iran Since September 2012, Pakistan Since September 2012, Sudan Since September 2012, Tajikistan Since May 2013. 6. YouTube is not only the third biggest website in the world and the also the second largest search engine in the world. Even bigger than Yahoo, Bing, Ask and Microsoft combined and as Google owns YouTube, Google now has the two of the biggest search engines on the Web. 7. About a third of the videos uploaded to YouTube or copyrighted uploaded without the original owner's consent. Though YouTube has a system to prevent this such as the Content ID matching system which scans about 100 years of footage every year on the site. 8. There are tons of pages on the YouTube that can be useful but unfortunately very hard to find. To give you an example of what I mean, a page called www.youtube.com/my_speed to check how average video buffering speed is as compared to the averages of your city, country, and so on. Another page is called www.youtube.com/testtube where you can try out the new features that the YouTube development team is currently working on. This features may or may not implemented on the site later on. Currently, they have a feature called Feather which allows users with a very poor internet connection to watch videos more easily while making their Web pages more limited and thus reducing latency. Another feature called Disco automatically creates a playlist with music videos by the artist or band you search for. 9. YouTube has been the best place of memes and video viral hits every seconds its launched. A few examples are Evolution of Dance, The Mysterious Ticking Noise, Keyboard Cat, Charlie Bit my Finger and many many more. One could argue that YouTube has responded the most memes of a single Website. 10. The longest video on YouTube was 571 hours long so it would take you more than 23 days to watch the whole thing. Unfortunately, the video has been removed by YouTube. The most viewed video is the music video Despecito with over 5.8 Billion views. The most viewed video which isn't the music video is Charlie Bit my Finger with over 865 Million views. The most Subscribed channel is now Pewdepie with over 79 Million Subscribers. Every second of one and a half hours of video is uploaded to YouTube is around 100 hours of video every minute or 250 days of video every hour or more than 16 years of video every day or 50 centuries of video every year.